The FIRST Gold Supreme at RM128/month gives you 50GB of high-speed quota and 25GB of Video Walla for all your streaming needs. As usual, the 50GB quota is split between 25GB for weekdays and 25GB for weekends. You do have the option to combine this quota with the AnydayGB add-on at RM10/month. Voice calls to all networks are unlimited but SMS is still chargeable at 20 sen each. 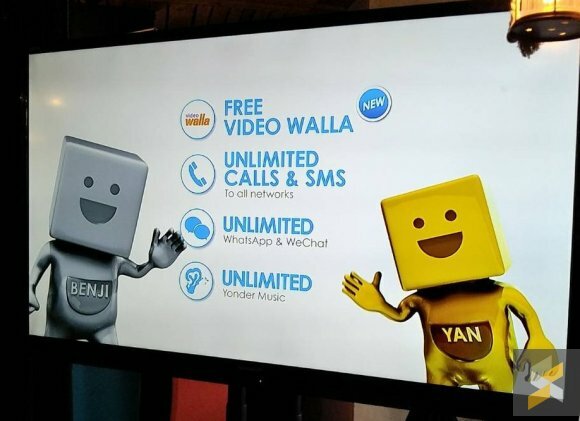 The plan also comes with free unlimited instant messaging on WhatsApp and WeChat. If you have a huge appetite, FIRST Platinum Plus offers 100GB of high-speed data (Anyday) and another 100GB for Video Walla for RM188/month. Similar to its FIRST Platinum plan, it also gets unlimited voice calls and SMS to all networks. 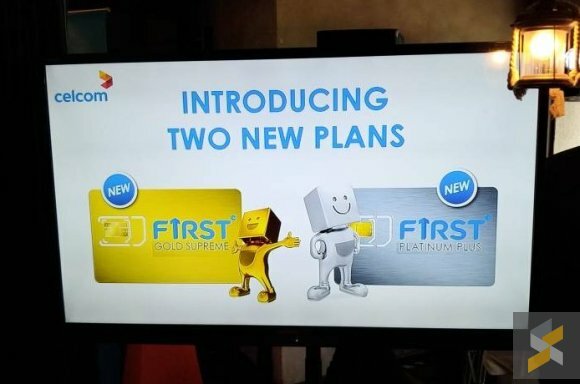 As a high spender, this plan also gives you access to its priority 1881 customer care line along with the priority to pick your preferred number. 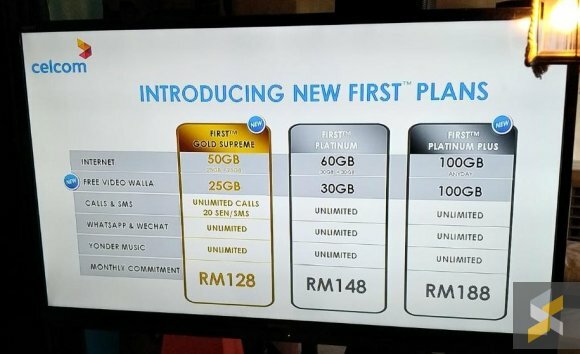 It is interesting to point out that Celcom has slightly reduced the subscription fee for FIRST Platinum. Originally going for RM150/month, FIRST Platinum that comes with 60GB of data (30GB Weekday + 30GB Weekend) is now going for RM148/month. On top of that, Celcom is adding more value by including 30GB of Video Walla. Celcom’s Video Walla currently covers YouTube, iflix, Netflix, Tonton, AstroGo, dimsum, HeroTalkies, MOX, MetroTV and DailyMotion. 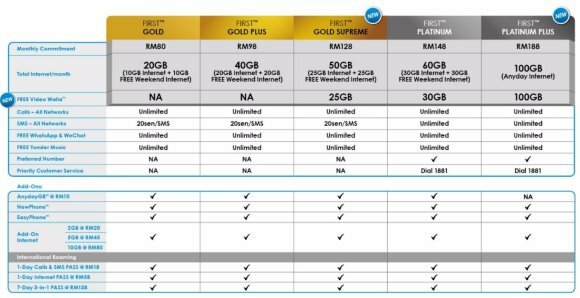 You can check out the full comparison of Celcom’s FIRST Postpaid plans below. Click on the image below to enlarge. For more information, you can check out Celcom’s Postpaid page.